With August and the start of school just around the corner, there is no better time to start thinking about enriching your child’s and/or your life with the arts. 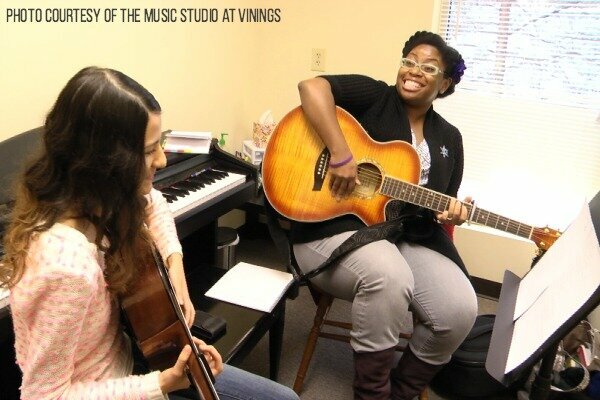 In my opinion, a great place to start is at The Music Studio at Vinings. Full disclosure: When I learned that The Music Studio had become a Smyrna Parent sponsor, I was thrilled to share our love for this studio via the blog. Our daughter, Maggie, took guitar for two years, until her instructor relocated, and as a result, I can definitely attest to the personalized attention that each student receives both in lessons and in the unique open-mic recitals held monthly at St. Angelo’s Pizza. 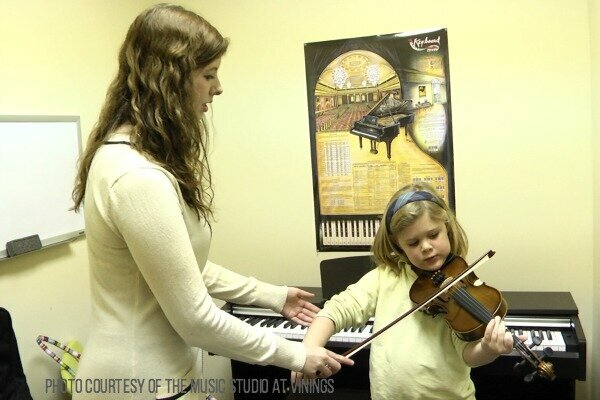 The family business of twenty-five years offers music lessons 7 days a week, in every instrument imaginable, with most instructors able to teach multiple instruments in multiple teaching styles. 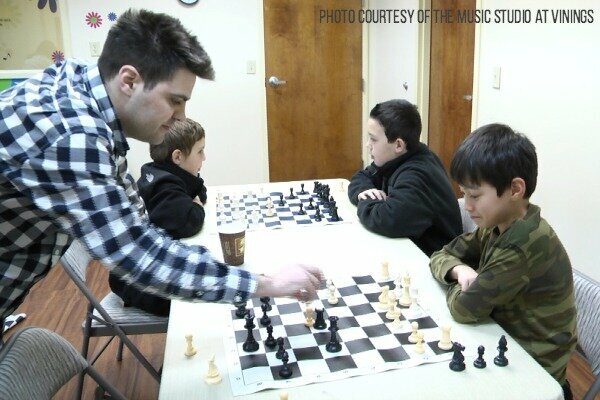 Recognizing that not only do children learn differently, but that they respond differently to different genres of music is a key difference in The Music Studio’s approach. At recitals, one hears everything from classical, to pop, to original compositions, all enthusiastically performed. There are so many offerings for kids of all ages (and adults), including dance, art, and enrichment classes in yoga, etiquette, and chess! “Creative Movement and Dance” offers Pre-Ballet, Tap/Ballet, and Hip Hop classes for ages 3-10. For the aspiring artist, “Out of the Box Art” has recently joined the Studio, and offers the gamut of art classes from “Mommy and Me” to specialized classes like sketching and sewing. 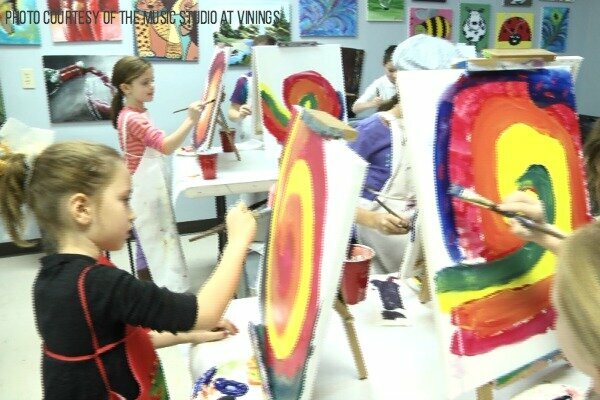 They will even help you plan a birthday party around an artistic theme or activity. Miss Jennifer’s “Music Together” classes are fun “Mommy and Me” music classes for moms and kids (infant to 5 years), that are in addition to the “3-4-5 Group Preschool” classes that the children attend alone. Everyone at The Music Studio recognizes how busy kids and parents are these days, so there are a variety of class times to fit every schedule. In addition, with the increasing popularity of homeschooling, the Studio offers discounts from 10 am – 2 pm for adults, homeschoolers, and families with more flexible schedules. Weekday music lessons within this time period, and all Friday classes will be $20 for 30 minutes. I encourage you to call, check out the website or even visit The Music Studio, you will not be disappointed.